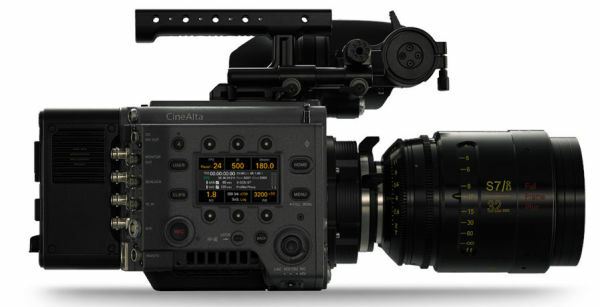 With the firmware 4.0 for Sony Venice announced today, the digital cinema camera will optionally support High Framerate Recording. Frame rates up to 120fps will be possible in 4K 2.39:1, 60fps in 6K 3:2 as well as up to 110fps in 4K 17:9 and 75fps in 4K 4:3 anamorphic. The HFR material can be recorded in X-OCN (up to 6K 3:2 50p/60p also in X-OCN XT) as well as in XAVC 4K and ProRes , the latter two options however only at frame rates up to max. 60fps. What the HFR license will cost is not yet known. Users will also have to wait until June 2019, when the new firmware and the paid add-on will be released -- v3.0 for Venice, by the way, has recently become available. As a further innovation in v4.0, Sony names an extended support of lens metadata (Cookes /i3 and ZEISS eXtended Data), which are embedded directly in RAW/X-OCN/XAVC files or externally output signals (HD-SDI), so that corresponding information is seamlessly available for post-production, for example for a distortion correction. Additional remote control capabilities are added as Venice becomes compatible with external remote panels via a newly implemented S700 protocol. Also new are progressive HD-SDI output in 25p / 29p, enhanced Mask+Line setting in Frame-line set-up, and new features for the programmable controls on the DVF-EL200 viewfinder.